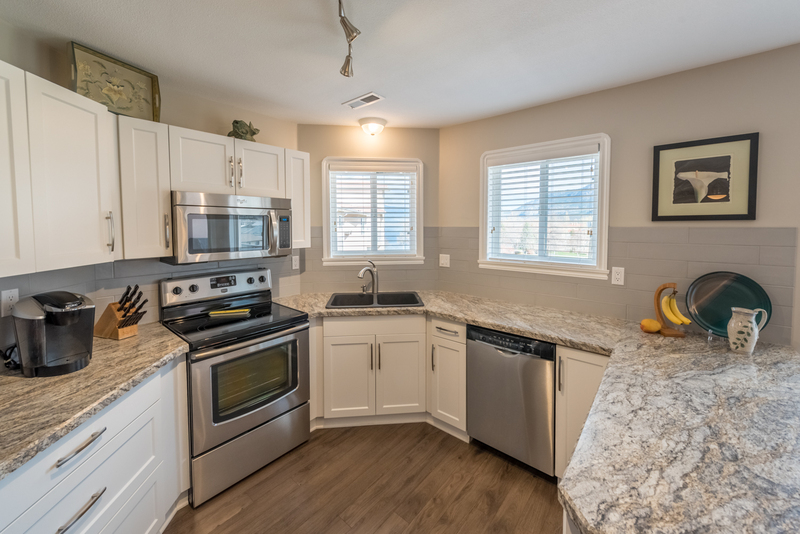 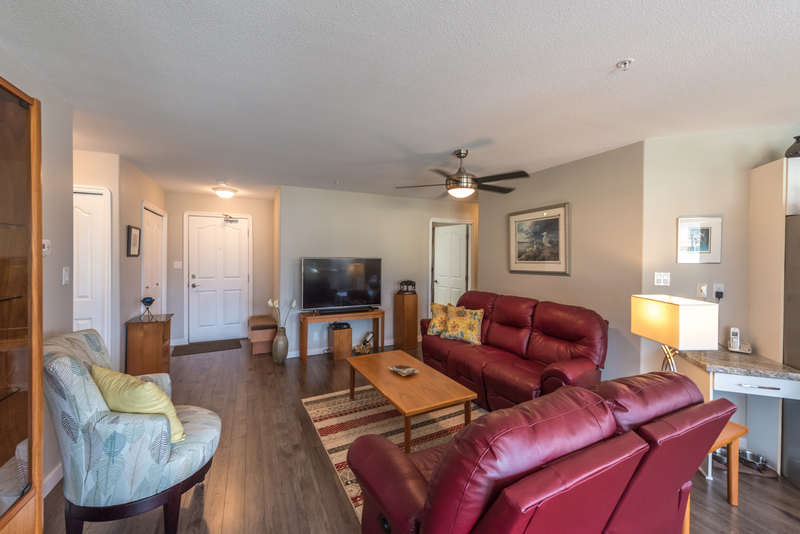 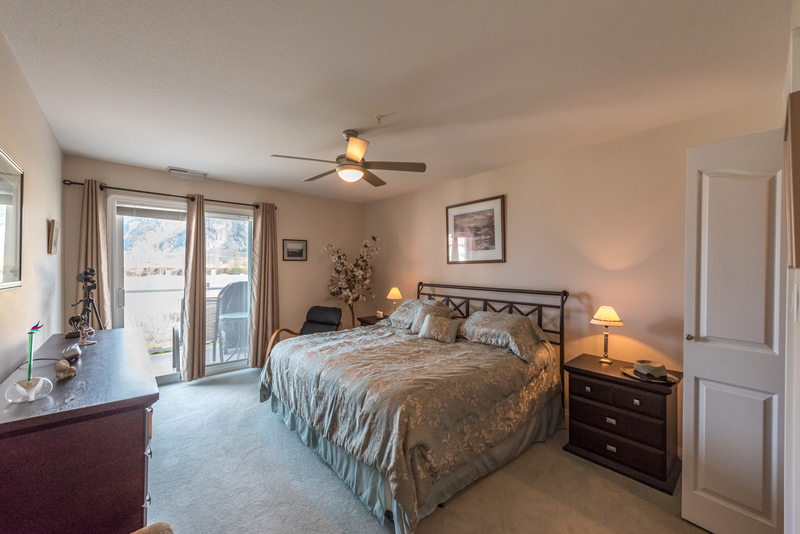 JUST ACROSS THE STREET FROM THE PARK, BEACH and the LAKE, in beautiful gated complex, "THE PALMS", this remodeled and immaculately kept 3 Bedroom and 2 Bathroom, TOP FLOOR, 1,464 square feet unit is one of the largest and best floor plans in the building. 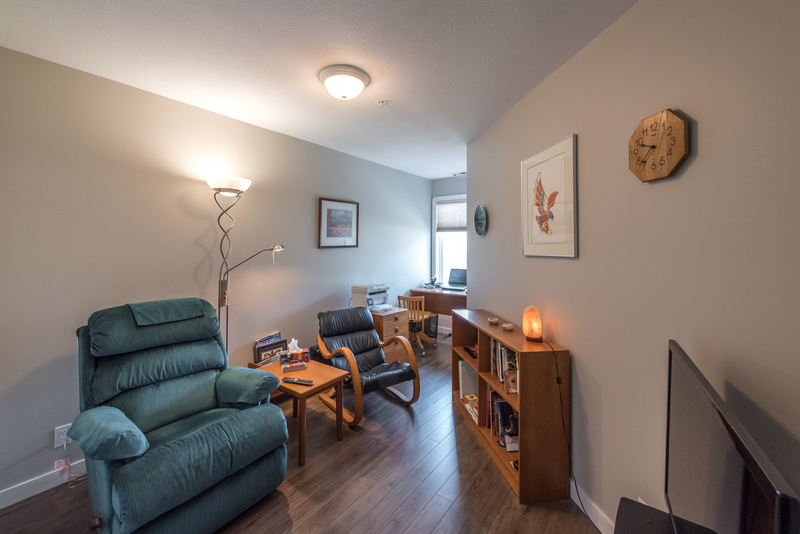 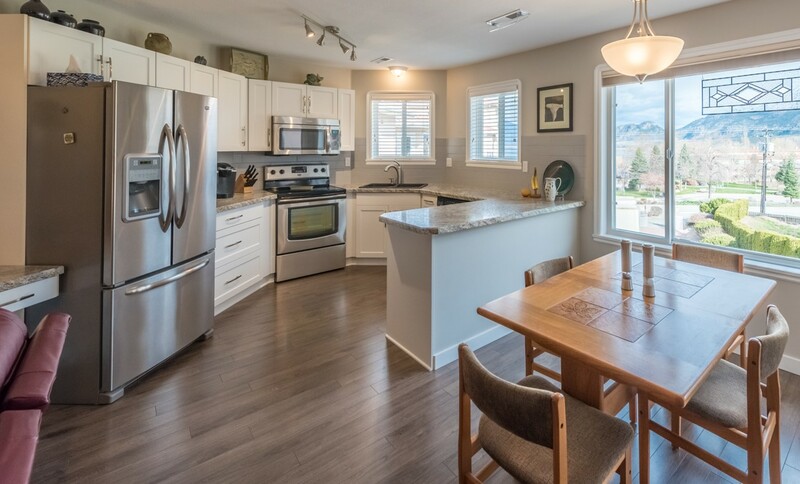 Open concept, spacious kitchen with 2 windows plus lots of counter and cupboard space. 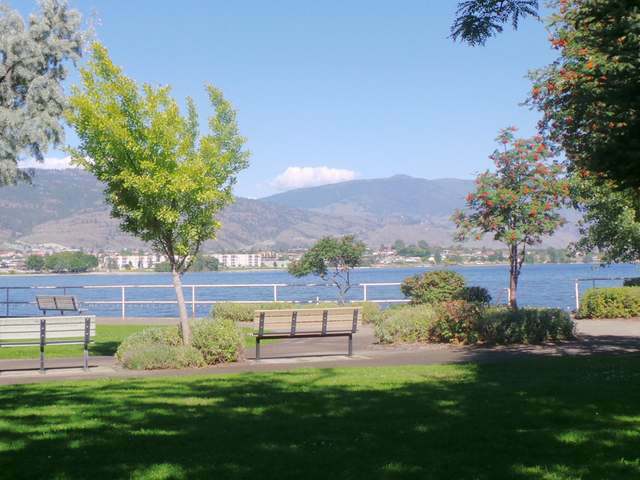 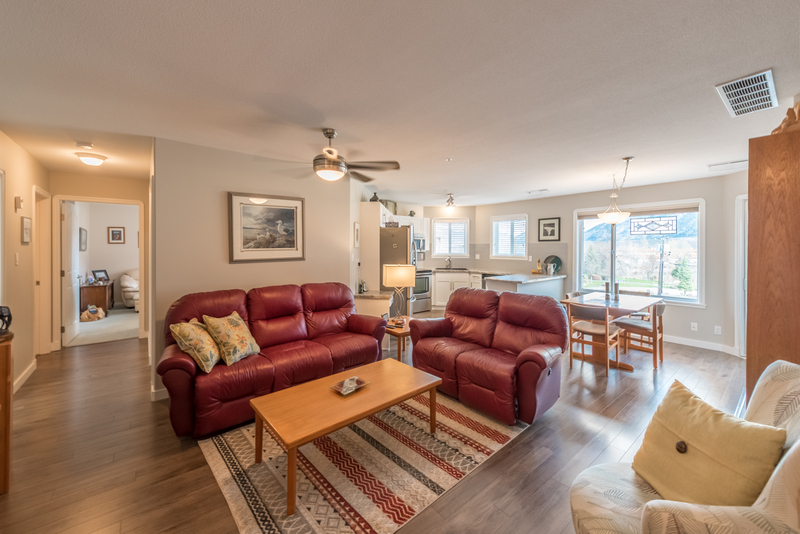 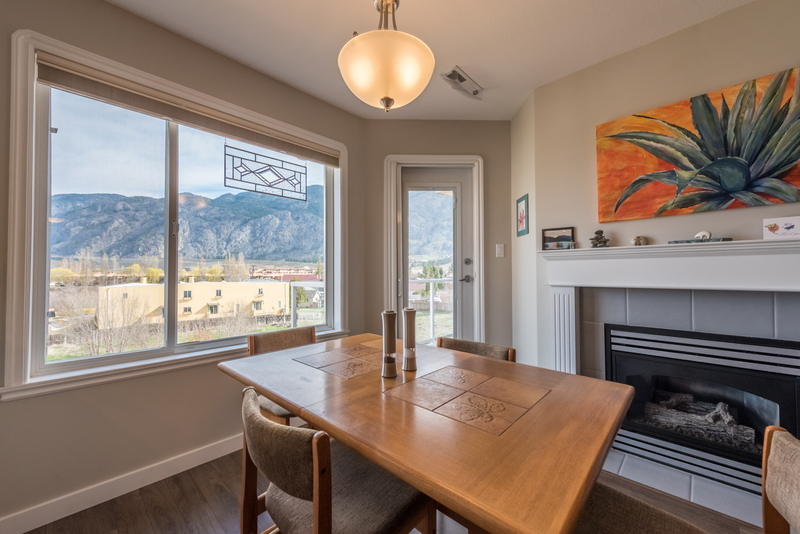 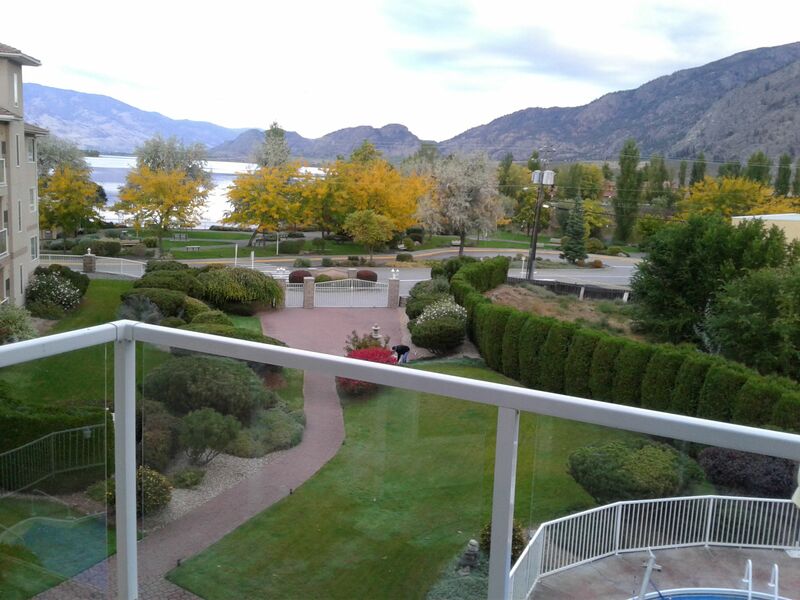 The dining area has a large window to take in the magnificent VIEWS of THE LAKE and MOUNTAINS, gas fireplace and phantom screen door to the balcony overlooking the pool and courtyard. 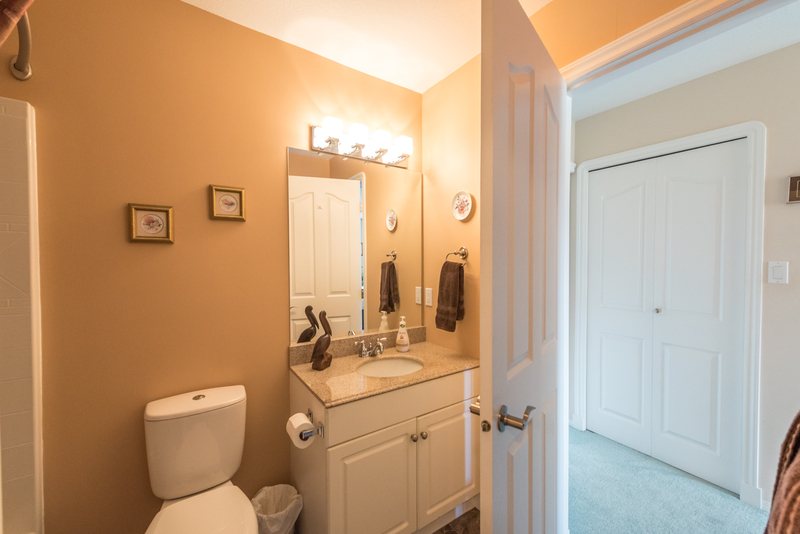 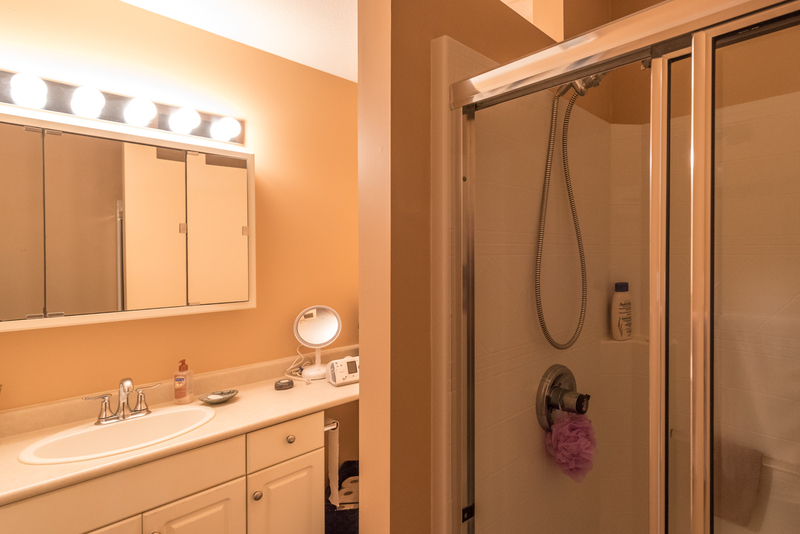 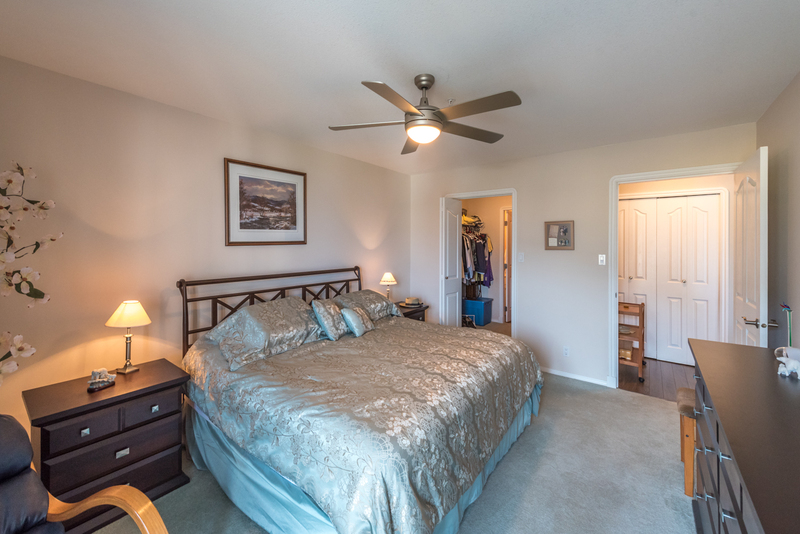 The master bedroom has its own ensuite and walk-in closet. 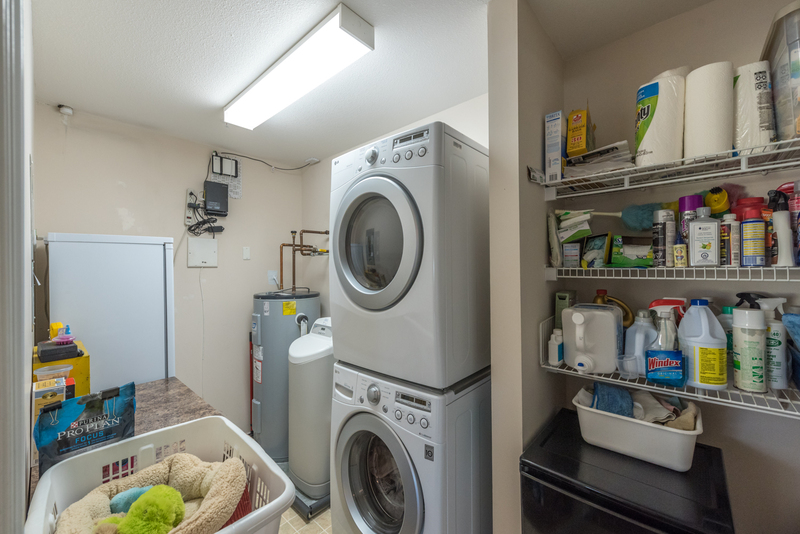 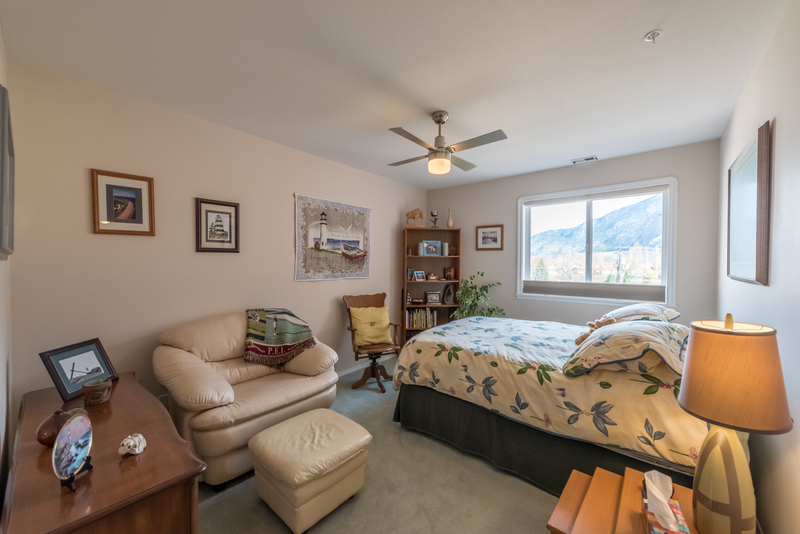 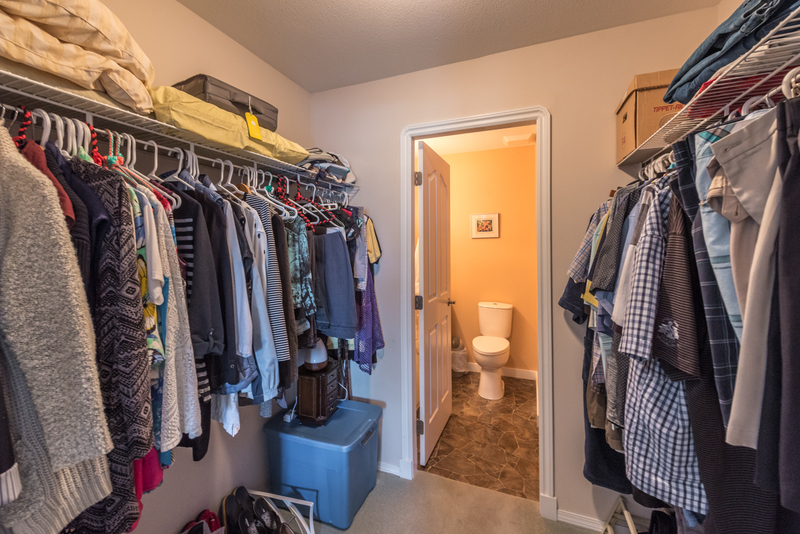 Convenient Insuite Laundry, storage room, plus lots of linen closets and central Air Conditioning! 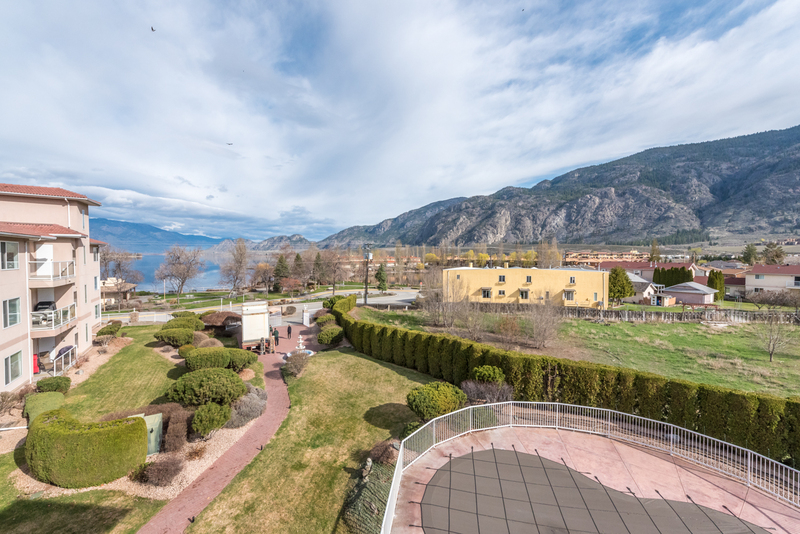 Secure underground parking and storage locker, outdoor swimming pool and steps to the beach and lake!